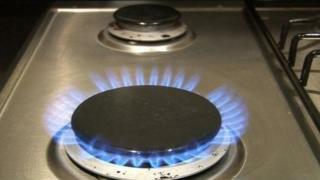 Firmus energy has lost an attempt to overturn a regulator's decision which meant lower gas bills for customers. In September 2016 the Utility Regulator determined how much Northern Ireland's three gas networks could charge over the next six years. That decision meant Firmus customers could expect their bills to be cut by an average of £15 a year. Firmus appealed that decision to the Competition and Markets Authority (CMA) was unsuccessful. Utility Regulator Chief Executive Jenny Pyper said: "The true winners are local gas consumers." "Our price control package would have reduced Firmus energy's tariffs by £15 per annum for the average domestic consumer and by tens of thousands of pounds for the larger industrial consumers. "The CMA's determination means that at this time, Firmus energy does not receive any increase in its allowances above those identified in our price control and associated licence modifications. "All utilities are entitled to a return on their investment but this must be commensurate with the risks that the business and its shareholder face and should not expose business and household consumers to further costs that impact on bills." Firmus said its decision to appeal to the CMA was not taken lightly and "was done with the best long-term interests in mind for the natural gas consumer in Northern Ireland". The company appealed on a total of 12 issues - nine of which were rejected. One issue has been referred back to the regulator which may result in future adjustments - upwards or downwards. The Consumer Council welcomed the appeal's outcome, and urged the CMA to decide who should pay its costs - which it said were likely to be substantial. "The Consumer Council are seeking assurances from the CMA that the costs of the process will not fall unfairly to consumers and will be proportionately paid by Firmus Energy," said Consumer Council Chief Executive John French.